Well, dear friends. A conversation that began as a very casual, on again, off again chit chat about movies, television, literature, and pop culture as whole, somehow morphed and matured into a bona fide blog. That blog gave birth to a podcast and said podcast somehow made it to a triple digit episode count. If you're reading this right now, then you had much to do with us making it this far and, on the occasion of our 100th episode, we would like to thank YOU so very much for tuning in and being a part of the We Like Movies family. We really love continuing this ongoing conversation. It means so very much to us. And, with your support, continued patronage, and help in spreading the good word to your fellow enthusiastic cinephiles (or even the cinematically averse... what the hell.... we're not uptight if they're not) we hope to keep this going well into the quadruple digits. Thanks so much, WLM-ers. 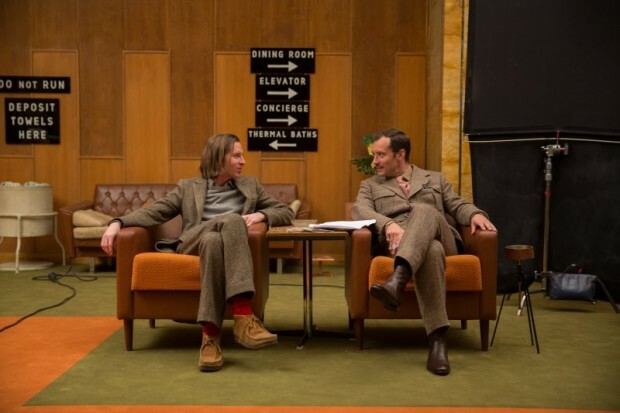 This week we discuss Wes Anderson's newest ode du tableau- THE GRAND BUDAPEST HOTEL. Listen early. Listen often.